Asiad Steels is one of the recognized suppliers and stockist of SS SMO 254 Fasteners, which is manufactured in sync with industrial norms using quality-approved material & latest technology. Being a quality oriented organization we are engaged in offering a supreme quality range of Stainless Steel UNS S31254 Fasteners. 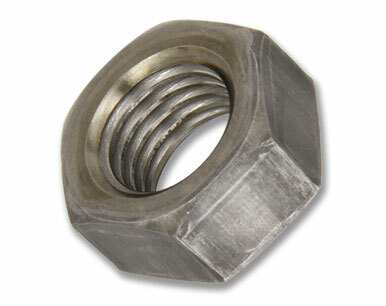 Backed by a team of well qualified and experienced professionals, we are engaged in offering a wide array of SS UNS S31254 Fasteners to our respected customers. 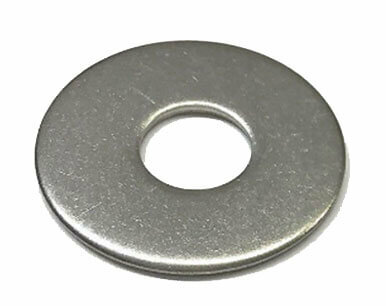 We also offer the same in different types such as Stainless Steel SMO254 Nuts, Stainless Steel SMO254 Bolts, Stainless Steel SMO254 Washers, and Stainless Steel SMO254 Stud Bolts. These Alloy UNS S31254 Fasteners are manufactured using graded stainless steel to suffice the variegated needs of our clients. Our highly skilled professionals manufacture this Alloy SMO 254 Fasteners from the finest grade raw material and sophisticated technology at our high performance manufacturing unit. These Stainless Steel 254 SMO Fasteners are made of high grade steel which has great durability, strong and sturdy quality with smooth surface. These SS 254 SMO Fasteners are manufactured as per the industry requisites and can be used for supporting radial and axial loads. Alloy 254 SMO Fasteners is also used in the most critical engineering applications and also in certain applications in the automotive sector. 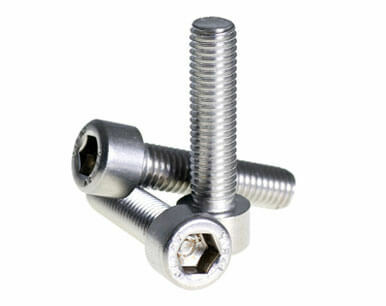 Buy SMO254 Stainless Steel Fasteners at reasonable rates from us. Our products are accurate as well as precise to drawings or samples and we offer these products in compact designs as well as customized sizes. We are Exporter of Stainless Steel SMO254 Fasteners in Worldwide Such as India, Japan, Australia, Ecuador, Serbia, Morocco, Tibet, Peru, Gabon, Angola, India, China, Norway, Libya, Venezuela, Poland, United Arab Emirates, Iran, Oman, France, Kenya, Lithuania, Estonia, Hong Kong, Kuwait, Iran, Puerto Rico, Afghanistan, Romania, Singapore, Portugal, Switzerland, Saudi Arabia, Ireland, Mexico, Nigeria, Indonesia, Bolivia, Bangladesh, Brazil, United Kingdom, Mongolia, Yemen, New Zealand, Macau, Mexico, Malaysia, Germany, Netherlands, Austria, Nepal, Kazakhstan, Canada, Chile, Gambia, Greece, Pakistan, Israel, Iraq, South Africa, Costa Rica, Bahrain, Chile, Bhutan, Poland, Czech Republic, South Korea, Zimbabwe, Azerbaijan, Qatar, Belarus, Hungary, Argentina, Nigeria, Spain, Sweden, Sri Lanka, Colombia, Denmark, Ghana, Lebanon, Vietnam, Jordan, Thailand, Trinidad & Tobago,Tunisia, Bulgaria, United States, Philippines, Turkey, Finland, Namibia, Slovakia, Russia, Taiwan, Croatia, Belgium, Algeria, Italy, Egypt, Ukraine. We are Suppliers of SS SMO254 Fasteners in India Such as Mumbai, Houston, Kuwait City, Ulsan, Algiers, Al Khobar, Bengaluru, Montreal, Dammam, Howrah, Aberdeen, Riyadh, Kolkata, New Delhi, Surat, Ahmedabad, Indore, Busan, Gimhae-si, Chandigarh, Calgary, Ludhiana, Nagpur, Bogota, Cairo, Courbevoie, Manama, Hyderabad, Jakarta, Sharjah, Chiyoda, Singapore, Toronto, Edmonton, Al Jubail, Haryana, London, Jeddah, Seoul, Bangkok, Madrid, Pimpri-Chinchwad, Thane, Navi Mumbai, Mumbai, Port-of-Spain, Los Angeles, Caracas, Noida, Secunderabad, Santiago, Vadodara, Melbourne, Perth, Pune, Hong Kong, New York, Ankara, Ernakulam, Atyrau, Abu Dhabi, Rajkot, La Victoria, Vung Tau, Lagos, Gurgaon, Istanbul, Moscow, Ahvaz, Colombo, Kuala Lumpur, Ranchi, Granada, Kanpur, Petaling Jaya, Chennai, Hanoi, Dallas, Geoje-si, Faridabad, Brisbane, Muscat, Sydney, Dubai, Doha, Thiruvananthapuram, Nashik, Ho Chi Minh City, Lahore, Mexico City, Bhopal, Jaipur, Milan, Karachi, Tehran, Coimbatore, Baroda, Jamshedpur, Visakhapatnam, Rio de Janeiro.